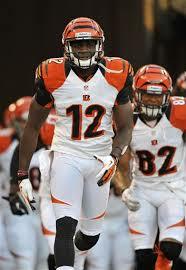 In my weekly column, we take a long look at impact fantasy football rookies. I compare their performance to date against my original expectations of them. 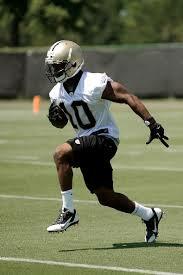 Let’s start this 2014 version of the series by looking back at Brandin Cooks. Cody Latimer: Hype or Hope? Comments Off on Cody Latimer: Hype or Hope? 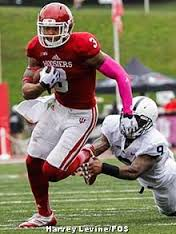 One of the biggest wide receiver risers in this year’s class is former Indiana Hoosier Cody Latimer. The hype train is growing each day with this prospect. 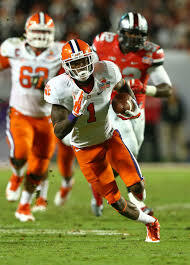 He reportedly was running 40 times in the 4.60s before his pro day perhaps due to an ankle injury. Now it’s a few weeks later and one of the biggest reasons that he is climbing up the draft charts is that he clocked in at a humming 4.40 40 time at his pro day workout. Anyone can get a hometown stopwatch discount, is the excitement warranted? Allen Robinson: Is he too big to fail? Comments Off on Allen Robinson: Is he too big to fail? 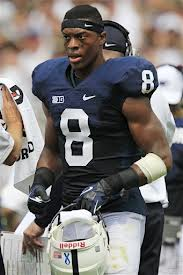 As we continue with my trip around the rookie class, I took a look at former Penn State wide receiver Allen Robinson who has good size at 6’ 3” 220 lbs. and ran a 4.6 second 40 at the Combine (improved his time to the 4.5s at his pro day). 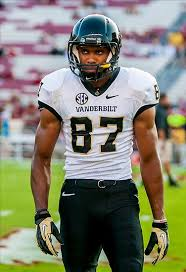 There are various feeling about him in the draft community, so I decided to watch five of his 2013 games against Wisconsin, Nebraska, Ohio State, University of Central Florida, and Syracuse to get a better idea of what he skills he can bring to the NFL. Big Ten receivers have lost some credibility over the years, can Robinson reverse this trend? 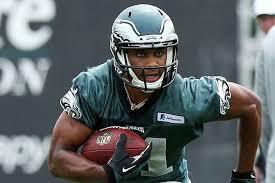 Comments Off on Jordan Matthews: Second Cousin? One of the most discussed wide receivers in the 2014 draft class is Jordan Matthews. There is a certain amount of excitement already built into this player. He is the cousin of Hall of Famer receiver Jerry Rice and he had an awesome bowl game despite having one of the worst backup quarterbacks in all of college football throwing him the pigskin. 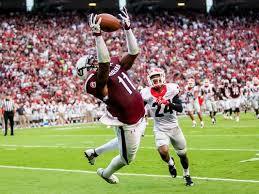 I reviewed three of his 2013 games: Houston (bowl game before mentioned), South Carolina, and Ole Miss. Because some of his quarterback play was so atrocious in 2013, it was also important to see how he played with a better quarterback, Jordan Rodger’s (Aaron’s little brother and Jacksonville backup), so I watched two of his 2012 games against NC State and Wake Forest. 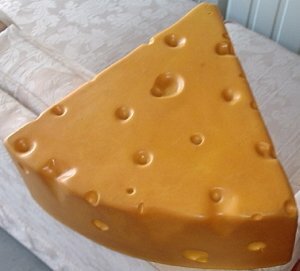 The World Champion Green Bay Packers were not worried about their team during the unsettled times without a CBA agreement. The strong management and coaching staff went about business as usual by building their team in the draft and letting the free agent cards fall where they may. The fortunate Packers selected WR Randall Cobb with the last pick of the second round. Then the organization re-signed James Jones at the supposed insistence of Aaron Rodgers. If last year tells us anything, Rodgers needs plenty of weapons as Green Bay doesn’t want to miss a beat when injuries strike. The question is what impact will Cobb bring to Green Bay and how soon will he see the field? The era of “Air Coryell” seems to be back in San Diego. QB Phillip Rivers has attempted at least 478 passes, thrown for over 4000 yards, and, at least, passed for 28 TDs in each of the past three years. Rivers does not slow down for receivers’ injuries or holdouts (thanks for that Vincent Jackson). 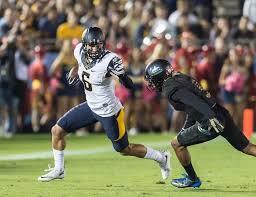 Out of the past four years, Vincent Jackson lead Chargers receiver for two years and the other two years “Mr. Super Charger” himself, Antonio Gates, lead the team. During the 2011 NFL Draft, the future of the Chargers WRs was much in doubt. Vincent Jackson had filed a lawsuit against the NFL. Every NFL organization had no idea who would be free agents, but it was very possible that both starting WRs Jackson and Malcolm Floyd could leave with little on the roster to replace them. The Chargers decided bolster their receiving core by spending their 3rd round pick on local WR Vincent Brown, who played down the street at San Diego State.